Newshosting owns 100% of their servers based out of the United States and Europe, so wherever you are in the world, you will have fast and full server access. 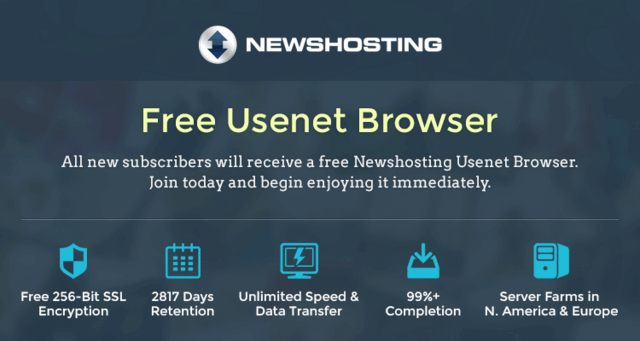 Everyone who subscribes to Newshosting gets a free Usenet browser. On their website, there is a free preview of the browser also. 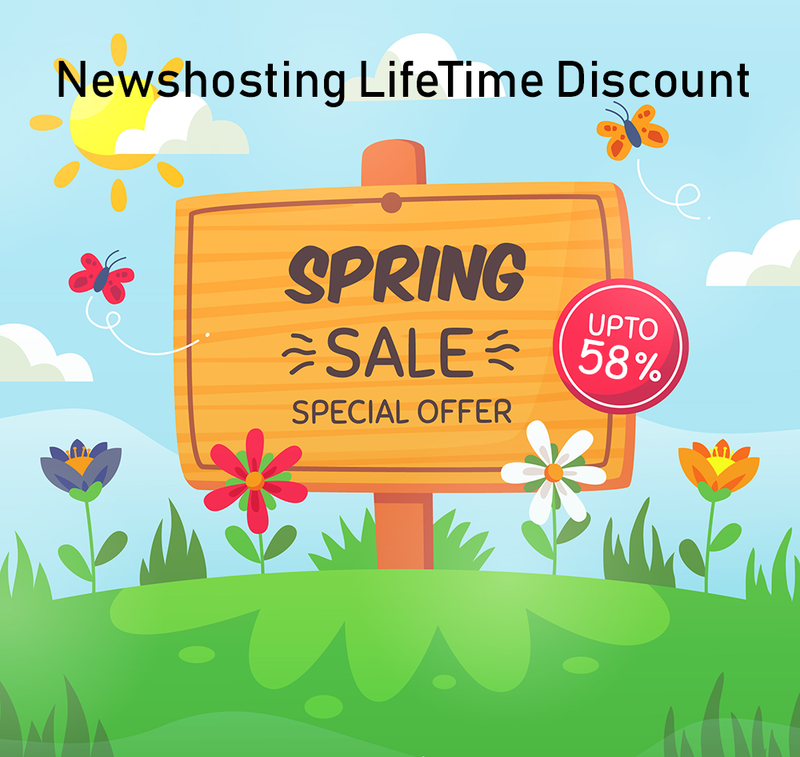 Newshosting offers 3,653 days retention for all newsgroups (100,000+ uncensored groups) with a large amount of connections, unlimited speed and transfer. 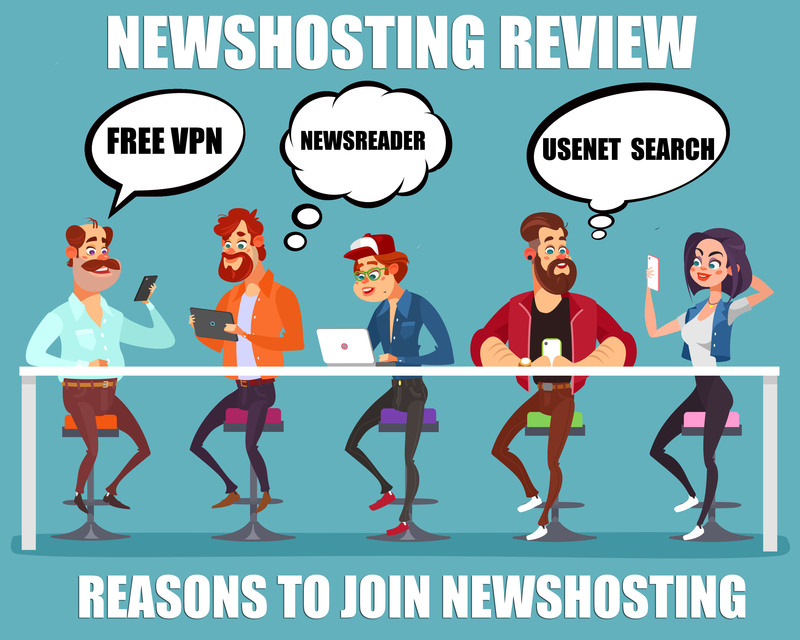 Newshosting also offers a new VPN service that they claim has more security than ever before because they believe that protecting your data and identity online is important. 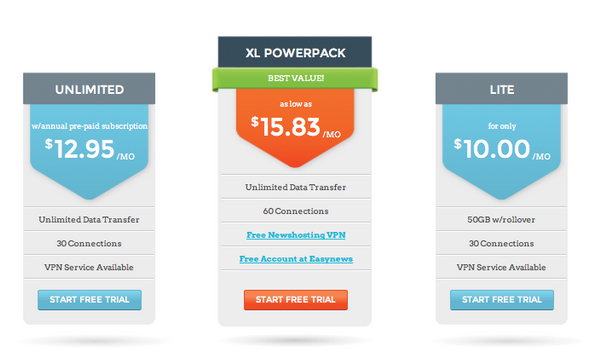 This VPN service is available as a stand-alone program, but does not have a free trial. It is only available through the VPN subscription, which is $11.99 a month. With three fully packed plans, Newshosting offers an Unlimited plan, a XL PowerPack plan and a Lite plan, all with different prices and features that will suit whatever you need. There is even an option to customize your own plan to make sure you have a plan that is perfect for your needs. Newshosting offers a free trial version of their service that lasts for 14 days. You get 30GB with the free trial. Newshosting also has an active blog that they post on regularly telling users about updates, their programs, giveaways, and fun lists. The blog is interesting, informative, very nice to look at, and will make your Usenet experience even better! Their support pages are full and easy to use, with many e-mails you can reach for various problems like general support, sales, bulling, network issues, webmaster and abuse. They also have an informative video about how to use the Usenet browser, and a FAQ section with over 20 answers. For whatever problem you have, they have an answer. Between the blog, huge support page and plan customizer, Newshosting stands out among other servers and networks. Check out their website and blog for more information on their services and pricing.